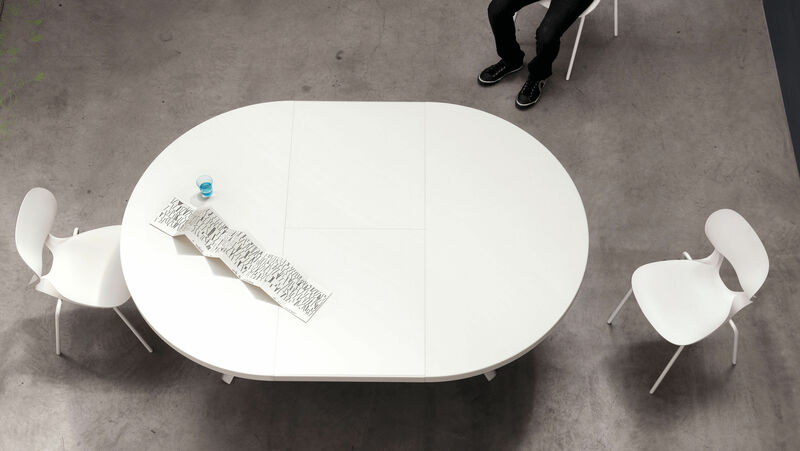 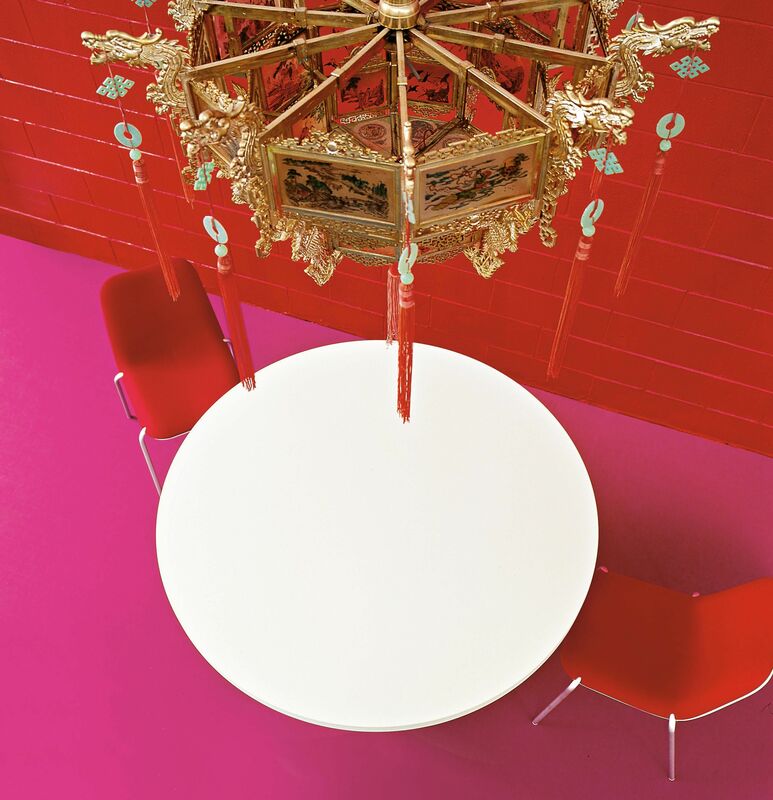 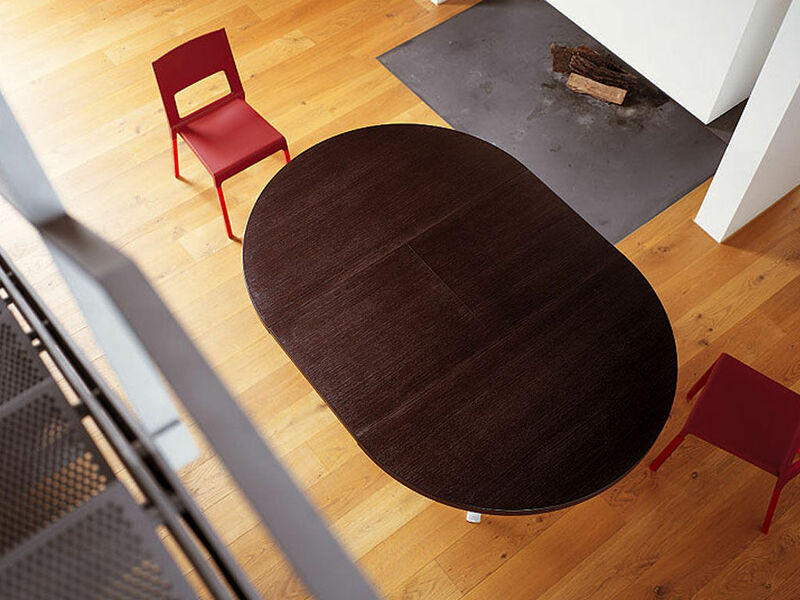 The round Oops table combines maximum formal simplicity with original technical content. Its curved dynamic legs are in finely crafted pressure die-cast aluminium. 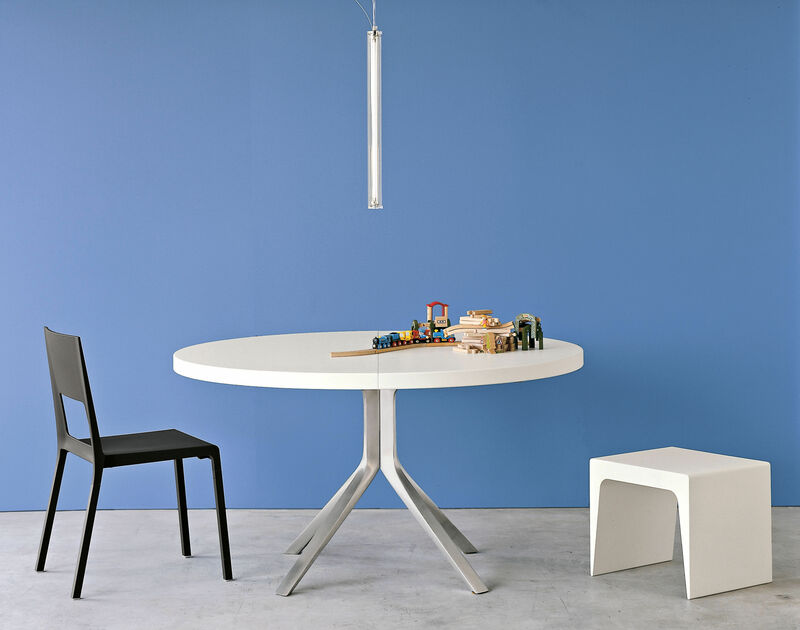 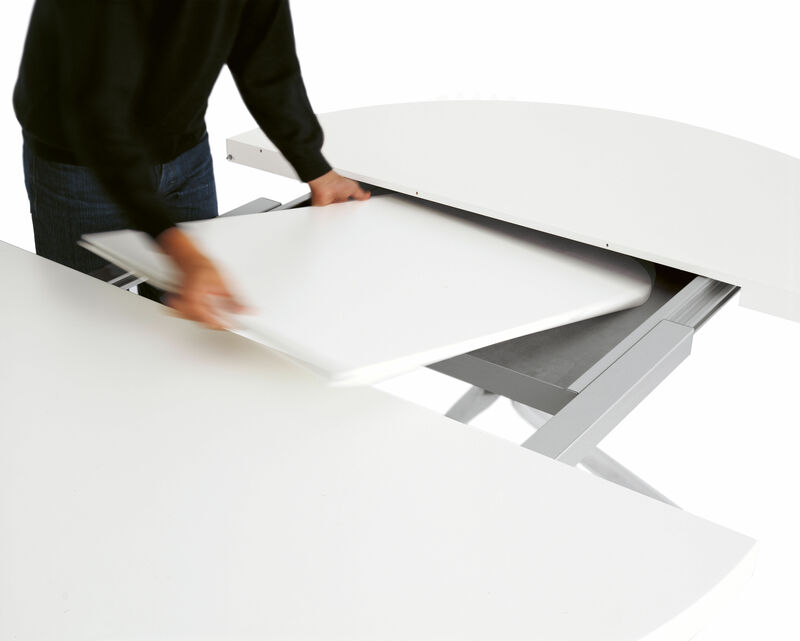 The legs of the extendible table move outwards to reveal a central tray with extensions, changing the table from round to oval. 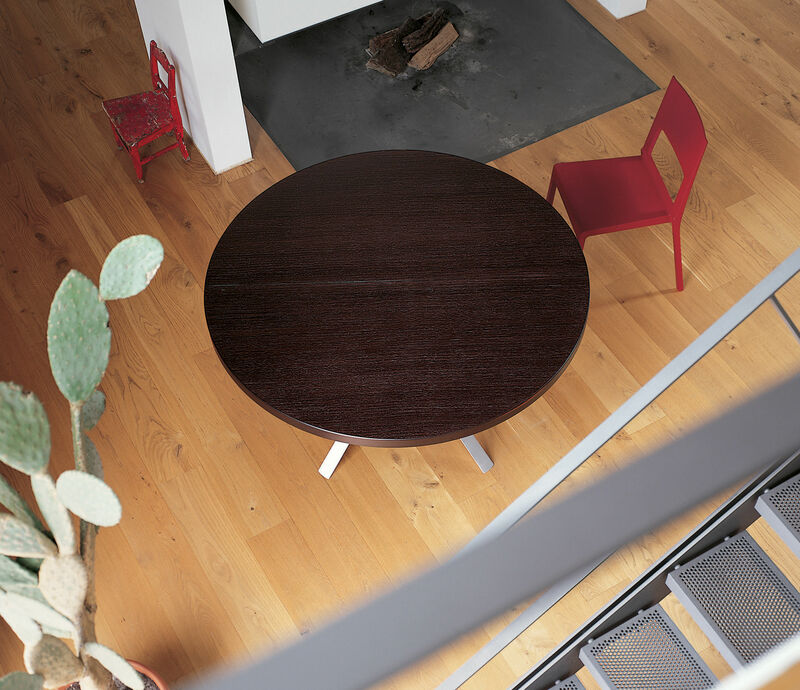 Two types of thick MDF honeycomb board top are available: in oak veneer with wengè finish, or in white lacquer. 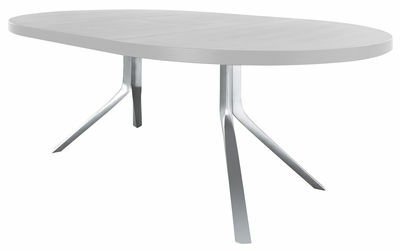 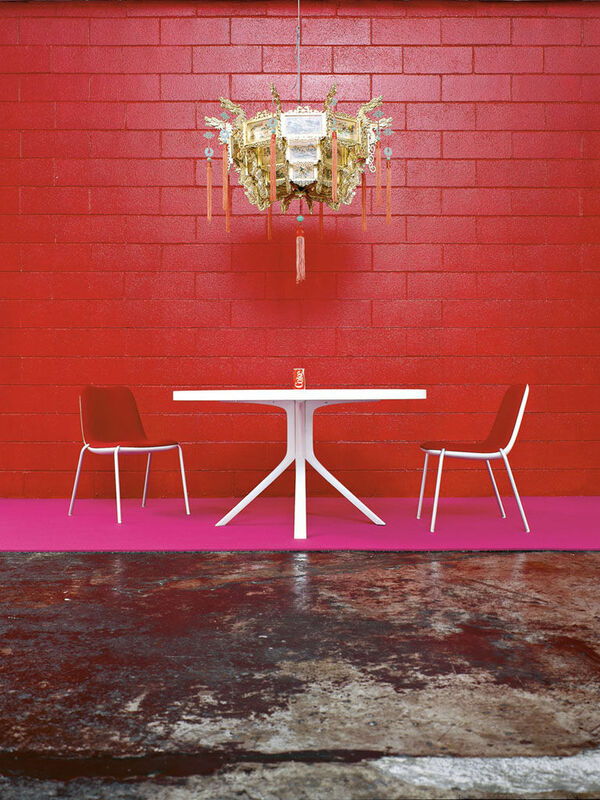 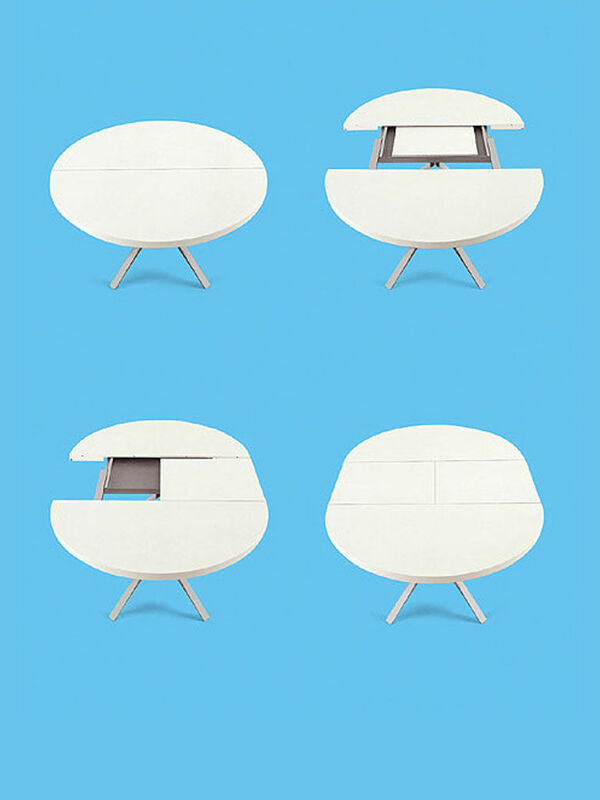 The latter is also available in a single-colour option, with white lacquered legs.